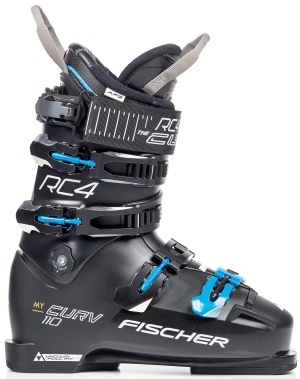 Bootfitter’s comments: Fischer’s flagship ladies’ boot will again be a popular option for strong skiers looking for a precise, personalised fit and responsive flex for aggressive skiing. The shell and liner represent hugeupgrades over previous models. A brand new boot for this season, the My Curv 90 offers the same technology, and the proven Vacuum Fit customisation system of the My Curv 110, but in a more forgiving 90 flex that will suit a much broader range of recreational skiers. Bootfitter’s comments: A welcome addition to the Fischer range, we’re excited to be able to offer the outstanding customisation and personalised fit experience of Fischer’s Vacuum system in an accessible, forgiving 90-flex package. Treat yourself to the ultimate fit! Bootfitter’s comments: Our highest performing ladies’ boot from Salomon. Gives great heel hold and lateral response, while the custom shell offers plenty of adjustability for maximum forefoot comfort. Bootfitter’s comments: A bestselling option for those with a narrower-than-average foot. The Xmax 90’s flex suits anyone from an intermediate through to a confident advanced skier. Customisable shell moulds to your foot shape. Bootfitter’s comments: There aren’t many entry-level boots out there designed to fit a narrower foot, but the Xmax 80W is one such boot. Great for youths, lighter skiers, or simply those who need a snugger fit without a race flex.